The Best Political blogs from thousands of top Political blogs in our index using search and social metrics. Data will be refreshed once a week. Also check out Top Political Podcasts and Political Youtube Channels. Political newsletter is a comprehensive summary of the day's most important blog posts and news articles from the best Political websites on the web, and delivered to your email inbox each morning. To subscribe, simply provide us with your email address. Washington, D.C. About Blog ThinkProgress is an American political news blog. It is a project of the Center for American Progress (CAP), a progressive public policy research and advocacy organization. It is dedicated to providing readers with rigorous reporting and analysis from a progressive perspective. It is divided into the sections climate, economy, health, justice, LGBT, world, culture, sports, politics and features. Facebook fans 1,779,216. Twitter followers 844,067. About Blog Daily Kos, a brainchild of blogger Markos Moulitsas, is one of the oldest political blogs on the Web and it is unashamedly liberal. It gets about 25 million hits a month and has thousands of readers commenting every day. Expect a lot of heated discussions here. Facebook fans 1,258,889. Twitter followers 229,919. New York City About Blog News, opinion and multimedia on politics and government. Facebook fans 12,640,066. Twitter followers 32,235,946. San Francisco, CA About Blog Politics is the subreddit for current and explicitly political U.S. news. Facebook fans 1,044,469. Twitter followers 450,161. USA About Blog PoliticusUSA brings you news, political commentary & analysis from a liberal point of view. We're independent and fact-based but never lacking for grounded, hard-hitting opinions. At Politicususa, liberal means open-minded; we don't subscribe to any agenda but the truth. PoliticusUSA has no corporate funding and no masters. Facebook fans 647,864. Twitter followers 51,676. USA About Blog Moveon.org is a popular Democratic blog that focuses on grassroots political activism. While you will certainly enjoy reading the blog posts here, don’t expect any objectivity. The bloggers at Moveon.org are very opinionated and not afraid to reveal their biases. Facebook fans 1,057,456. Twitter followers 195,115. About Blog The Political Insider connects you to the pulse of all things newsy and noteworthy. We are your inside connection to influencers and politicos around DC, in the media, and beyond. Facebook fans 2,921,396. Twitter followers 31,199. NY & DC About Blog TalkingPointsMemo.com is a very smart liberal blog that believes in analyzing each issue methodically and objectively rather than shouting from the rooftops. This blog has been ahead of the mainstream media on a number of occasions, such as when it reported on a US Justice Department scandal in which Assistant US Attorneys were fired for entirely political reasons. Facebook fans 409,453. Twitter followers 232,906. About Blog Paul Staines, otherwise known as Guido Fawkes, certainly lives up to his pseudonym. His blog, which is described as a ‘’discussion on parliamentary plots, rumours & conspiracy’’ is nothing short of explosive. Not content with simply dissecting the murky goings on in Westminster, Staines breaks the news that politicians don’t want you to hear, & you get the impression he’s enjoying every minute. Facebook fans 37,009. Twitter followers 218,652. Virginia About Blog Headline Politics provides political news, insights, and polls delivered straight to dedicated readers. This growing audience is interactive and enjoys political issues and commentary. Facebook fans 914,386. Twitter followers 1,625. London About Blog Founded by Tim Montgomerie who has been described as "one of the most influential Tories outside of the cabinet", Conservative Home was created as a hotspot for grassroots Conservative supporters. With a Tory Diary and a Majority section to explore how the Conservatives can win a majority at the next election, Conservative Home delivers all you need from the right end of the spectrum. Facebook fans 3,041. Twitter followers 80,929. About Blog Canadian Political News & Commentary. iPolitics is independent, non-partisan and committed to providing timely, relevant, insightful content to those whose professional or personal interests require that they stay on top of political developments in Ottawa and the provinces. Facebook fans 11,581. Twitter followers 66,246. London About Blog Politics.co.uk is an impartial political website with no political affiliation, which prides itself on standing out as an independent voice in a landscape where the norm is to nail your colours to the mast. Up to the minute UK politics news, features, view and analysis, plus guides, briefings and debate. Facebook fans 9,400. Twitter followers 38,660. Facebook fans 119,916. Twitter followers 146,070. Brussels About Blog European Politics, Policy, Government News. POLITICO covers the politics, policy and personalities of the European Union. With reporting assets across the Continent, POLITICO’s coverage includes video features, regular columns, photo galleries, cartoons and political forums. Facebook fans 87,876. Twitter followers 123,917. Washington About Blog Edited by William Kristol and Fred Barnes, The Weekly Standard made its debut in 1995. The magazine's all-star writers provide insightful commentary and original reporting on American politics and foreign affairs. Facebook fans 283,492. Twitter followers 331,830. U.S.A. About Blog A progressive news blog focusing on political events and the news coverage of them. Facebook fans 136,939. Twitter followers 86,806. San Francisco, CA About Blog Discussion about politics. Talk amongst yourselves. Politely and informatively. Facebook fans 1,044,471. Twitter followers 450,161. Los Angeles, CA About Blog Essential political coverage from California and the presidential campaign, including in-depth commentary, analysis and election results. Facebook fans 2,723,089. Twitter followers 3,236,784. Washington, D.C. About Blog Follow American politics, keep up with the hottest political debates, and share your thoughts and opinions on the political news that matters to you. Facebook fans 1,954,511. Twitter followers 1,021,797. About Blog Vox is a popular liberal blog run by former Washington Post journalist, Ezra Klein. It features a number of popular personalities such as the author Matt Yglesias. The blog claims to be neutral, but has largely liberal sensibilities. It has some of the best content on public policy and economics that you will find online. Facebook fans 1,136,397. Twitter followers 486,404. London About Blog Follow us to keep up with The Guardian's Blog on politics, politicians and geopolitical news. Facebook fans 7,962,269. Twitter followers 7,227,927. New York, NY About Blog FiveThirtyEight, created by Nate Silver, who is best known for election forecasts such as the 2012 presidential election in which FiveThirtyEight correctly predicted the vote winner of all 50 states. The site regularly publishes articles by creating or analyzing statistical information on a wide variety of topics in current politics news. Facebook fans 347,993. Twitter followers 802,900. Washington, D.C. About Blog The Wall Street Journal’s home for politics, policy and national security news. Political Insight and Analysis From The Wall Street Journal Capital Bureau. Facebook fans 5,270,073. Twitter followers 107,537. London, UK About Blog The best opinions, comments and analysis on Political issues from The Telegraph. Facebook fans 3,832,077. Twitter followers 1,908,798. About Blog Online magazine of news, politics, technology, and culture. Combines humor and insight in thoughtful analyses of current events and political news. Facebook fans 1,527,718. Twitter followers 1,773,909. About Blog Investigative journalism, politics, chart-tastic, sometimes sarcastic. Mother Jones is a leading independent news organization, featuring investigative and breaking news reporting on politics. Winner of six National Magazine Awards and the Online News Association Award for Online Topical Reporting. Facebook fans 1,553,323. Twitter followers 740,931. About Blog Fiercely independent coverage of politics and power from Salon. Salon covers breaking news, politics, culture, technology and entertainment through investigative reporting, fearless commentary and criticism, and provocative personal essays. Facebook fans 2,428. Twitter followers 8,782. About Blog Jim Pickard and Kiran Stacey share their views on the UK’s political scene for the Financial Times. Facebook fans n/a. Twitter followers 41,771. About Blog We share selected feature articles, podcast episodes, blog posts, forum conversations, and other interesting things that capture our interest on Liberal Politics. Facebook fans 658,299. Twitter followers 230,016. Georgia About Blog A blog about Atlanta politics, Georgia politics, elections, politicians and campaigns from The Atlanta Journal-Constitution curated by Jim Galloway, Greg Bluestein and Tamar Hallerman. Because all politics is local. Facebook fans 100,158. Twitter followers 15,205. San Francisco, CA About Blog Political articles and debate concerning the United Kingdom. Facebook fans 1,044,502. Twitter followers 450,161. Chicago, IL About Blog Get Political views from Chicago Sun Times. One of the 10 most-read daily newspapers in the United States, the Chicago Sun-Times has won eight Pulitzer Prizes and is home to such renowned journalists as political columnist Lynn Sweet, film critic Richard Roeper and sports writer Rick Telander. Facebook fans 389,931. Twitter followers 483,215. Washington, DC and Los Angeles About Blog Reason is a libertarian monthly print magazine covering politics, culture, and ideas through a provocative mix of news, analysis, commentary, and reviews. Facebook fans 387,197. Twitter followers 191,568. About Blog Twitchy is a ground-breaking social media curation site powered by a kinetic staff of social media junkies. We mine Twitter to bring you “who said what” in U.S. politics. Facebook fans 1,277,136. Twitter followers 216,069. About Blog Powerlineblog.com is a hugely popular conservative blog run by a team of distinguished lawyers and academics - John H. Hinderaker, Scott W. Johnson, Paul Mirengoff and Steven Hayward. If you are looking for a passionate and incisive commentary on US politics, this is the place to be. Facebook fans 10,510. Twitter followers 3,593. Facebook fans 185,207. Twitter followers 402,180. About Blog The Right Scoop is a political and media blog interested in truth. Facebook fans 98,503. Twitter followers 14,369. Washington About Blog Wonkette will have you coming back on a daily basis for snarky political commentary and gossip. Facebook fans 99,939. Twitter followers 69,145. New York About Blog Taegan Goddard is the founder Political Wire, It is one of the earliest political blogs, updated around the clock with the most interesting news, buzz and commentary from inside the halls of government. Facebook fans 49,902. Twitter followers 65,976. Australia About Blog Crikey is an Australian news and commentary website and newsletter, offering unique perspectives on politics. News and independent commentary on Australian federal, state and local government moves and politics in Crikey's unique style. Facebook fans 77,667. Twitter followers 179,562. Washington, DC About Blog Washington Monthly is a political magazine that illuminates the ideas and characters that animate America's government. We break the stories, highlight the issues, and frame the arguments that Americans will read in their newspapers and see on TV and the Web months, even years, later. Facebook fans 12,499. Twitter followers 8,412. Washington, DC About Blog The Cook Political Report is an independent, non-partisan newsletter that analyzes elections and campaigns for the US House of Representatives, US Senate, Governors and President as well as American political trends. Facebook fans 7,865. Twitter followers 55,568. Charlottesville, VA About Blog The Center for Politics, a nonpartisan unit of the University of Virginia, seeks to promote the value of politics and the importance of civic engagement. Government works better when politics works better, and politics works better when citizens are informed and involved participants. Facebook fans 2,645. Twitter followers 105,090. Greater Scotland About Blog Maintained and edited by Stuart Campbell, Wings Over Scotland is a pro-independence (although not SNP aligned) website offering commentary and analysis on politics in Scotland. Campbell takes particular aim at reporting from the mainstream media, and if you take a look on the ‘about’ page you’ll find disparaging quotes from journalists proudly displayed. Facebook fans 33,500. Twitter followers 48,835. Santa Monica About Blog "We deal in illusions, man. None of it is true. But you people sit there day after day, night after night, all ages, colors, creeds. We're all you know. You're beginning to believe the illusions we're spinning here. You're beginning to think that the tube is reality and that your own lives are unreal. Facebook fans n/a. Twitter followers 35,892. New York City, NY About Blog AMERICAblog is one of America's top political sites for news and commentary. AMERICAblog focuses on American and world politics from a progressive perspective, with a particular focus on civil rights. Facebook fans 10,215. Twitter followers 16,067. About Blog Shadowproof is a reader-supported press organization devoted to exposing abuses of power in government and business. Facebook fans 6,932. Twitter followers 10,002. UK About Blog LabourList is the foremost independent blog for all things Labour, and a discussion platform for everything from the NHS to the EU. While taking a mostly centre-left position, LabourList encompasses a broad range of progressive views, providing analysis and commentary on news from Westminster, local government and the Labour party itself. Facebook fans 17,402. Twitter followers 62,712. San Francisco, CA About Blog International politics subreddit is for international politics and news only. This is created to counterbalance the US demographic profile of Reddit and provide a place for the rest of the world politics to be placed in the spotlight. This also means a blanket rule for everything US related even if it is in an international setting. Facebook fans 1,044,472. Twitter followers 450,160. Facebook fans 328,052. Twitter followers 183,291. Tallahassee, Fla. About Blog The raw truth about power and ambition in Florida. Facebook fans n/a. Twitter followers 8,762. United Kingdom About Blog Left Foot Forward is a political blog for progressives. We provide evidence-based analysis on British politics, news and policy developments. Facebook fans 18,803. Twitter followers 62,794. California About Blog Hugh Hewitt is a major voice in Conservative circles. He is an academic, a prominent lawyer and a nationally syndicated radio show host. He has served in the Reagan Administration and is a leading political commentator in the US. His opinions are always worth a read. Facebook fans 30,623. Twitter followers 131,091. UK About Blog The most read independent Liberal Democrat website, this is a site run by and for Lib Dem members and activists. As well as keeping readers up to date with all the key political news, the site regularly polls its 'members only' section, giving a unique view of political events from a purely Lib-Dem perspective. Facebook fans 8,563. Twitter followers 22,500. Belfast, Dublin, Brussels etc About Blog Slugger O’Toole takes a critical look at politics in Ireland and Britain, bringing its readership ‘open source’ analysis from the mainstream media and the wider world of blogging. While Northern Ireland is the main focus on Slugger O’Toole, you can also expect intelligent conversation on politics further afield. Facebook fans 9,119. Twitter followers 24,810. Canada About Blog A Canadian political website that makes projections based on an examination of polling and electoral forecasts. Facebook fans n/a. Twitter followers 38,677. Colorado About Blog Colorado Pols is the most widely read and discussed political website in Colorado since it first went online in 2004. Here you will get all inside information and politics news. Facebook fans 912. Twitter followers 5,973. About Blog TalkLeft blog provides liberal coverage of crime-related political and injustice news. The blog is intended for the public, journalists covering crime-based news and politics, policy makers and of course, the criminal defense community. It was created by Denver-based criminal defense attorney Jeralyn Merritt in 2000. Facebook fans 772. Twitter followers 973. Messines, Portugal About Blog It is all obvious or trivial except blog by Tim Worstall. His Odd bits and pieces of his writing have been known to turn up in The Times, the book pages of the Daily Telegraph and the Philadelphia Inquirer, he\’s been a long term contributor to TCS Daily and also blogs for The Business and the Adam Smith Institute. Facebook fans n/a. Twitter followers 5,292. Wokingham, Berkshire About Blog Incisive and topical campaigns and commentary on today's issues and tomorrow's problem. Blog by John Redwood. Facebook fans n/a. Twitter followers 16,578. Boston About Blog Political Research Associates is a social justice think tank devoted to supporting movements that are building a more just and inclusive democratic society. We expose movements, institutions, and ideologies that undermine human rights. Facebook fans 11,562. Twitter followers 3,857. Dublin, Ireland About Blog Irish republican commentary from Ireland on national and international politics, history and culture. Facebook fans 2,230. Twitter followers 6,886. New York, NY About Blog Authored by NYC insider Jeff Jarvis, BuzzMachine covers news, media, journalism, and politics. Facebook fans 300. Twitter followers 6,309. Indianapolis & Nashville, IN About Blog Politics Indiana, established in 1994, is one of the few subscriber-based journalism models that consistently earns a profit in an era where many publications and website content are given away to consumers expecting free content. Howey’s life-long passion for political science and history have fueled his entrepreneurial journalism career. Facebook fans 2,193. Twitter followers 4,718. Colorado About Blog Award-winning conservative blog on Colorado politics. Facebook fans 5,388. Twitter followers 6,067. Clacton-on-Sea, England About Blog Douglas is an optimist. He believes the world is getting better, and favours free markets, accountable government and individual liberty. Douglas helped found Vote Leave, the successful campaign to get Britain out of the EU. His book , The End of Politics and the Birth of iDemocracy, anticipated many of the changes that we are now seeing throughout the Western world. Facebook fans 16,234. Twitter followers 53,217. London About Blog Alastair John Campbell is a British journalist, broadcaster, political aide and author, best known for his work as Downing Street Press Secretary, followed by Director of Communications and Strategy, for prime minister Tony Blair. Facebook fans 2,586. Twitter followers 363,031. Tun. Wells, Norfolk & London About Blog Iain Campbell Dale is best known for his political blog Iain Dale’s Diary (founded in 2002) and for his frequent appearances on UK news channels as a political commentator. Facebook fans 137. Twitter followers 83,569. Facebook fans 93. Twitter followers 710. Facebook fans 4,336. Twitter followers 1,155. Stafford, TX About Blog Breaking news. Liberal news, U.S. politics news, election news, business and entertainment news, Liberal news by Democrats, Liberals & Independents. Facebook fans 18. Twitter followers 322. About Blog Blog by The Politics Guys are Michael Baranowski and Jay Carson.It's about politics. It's about ideas. It's about half an hour. Facebook fans 1,502. Twitter followers 1,009. Washington, DC About Blog Ken Rudin’s Political Junkie brings a fresh take to political conversation -- featuring energetic discussions, rich historical context, and plenty of bad jokes. Facebook fans 2,830. Twitter followers 2,011. About Blog Time to Make America Great Again! Facebook fans 479. Twitter followers 13,713. Scranton About Blog Blog by Mike Allison. An Associate Professor & Chair, Political Science Dept, Education for Justice Coordinator at The Univ of Scranton. Former Fulbrighter to Guatemala, El Salvador, Shares his views on Politics. Facebook fans n/a. Twitter followers 1,587. Charlotte, NC About Blog I am Professor and Chair of the Department of Political Science and Public Administration at the University of North Carolina at Charlotte. I am also the editor of the academic journal The Latin Americanist. Facebook fans n/a. Twitter followers 2,133. Phoenix, AZ About Blog On the news, many have heard much about how our government is run by old white guys. Old white liberal guys agree. OWL guys, as I call us, believe in creating a more balanced government and workplace. We WANT to see more women and people of color in all areas. Because we see power in balance. We are not afraid of that change in the balance of humanity like some are. Facebook fans 32. Twitter followers 1,038. About Blog Nonpartisan, nonprofit organization that strives to increase civic participation and political discourse in an unbiased, informative and creative manner. Ireland About Blog A Political Studies Association of Ireland (PSAI) blog for discussion of politics, policy and political reform. The purpose of the forum is to provide up-to-date analysis of contemporary political events and to encourage moderated comment on all issues relating to politics, policy, and political reform (broadly conceived). Facebook fans n/a. Twitter followers 884. About Blog Challenging the left-wing fake news media with truth and common sense. Facebook fans n/a. Twitter followers 780. Mississippi About Blog Mississippi's leading conservative blog focusing on Mississippi and national news and politics. Facebook fans 2,083. Twitter followers 7,047. Cambridge, MA About Blog A blog about contemporary French politics by an American observer based at Harvard University's Center for European Studies. About Blog Labour Uncut is the blog to read if you want insight into the trials and tribulations of the Labour Party. Sometimes scathing in its dissection of Labour policy, it also gives opinion on the steps the party must take to win the next general election. Contributors use the blog as a platform to show where it feels the party has gone wrong, what it could do better and how this can happen. Facebook fans 2,293. Twitter followers 17,693. Washington About Blog The blog that NOBODY reads... but everyone gets upset about. Exposing the dark underside of the political world of Clark County, Washington... The least read and most talked about blog around. Facebook fans 133. Twitter followers 103. Pittsburgh About Blog Widely cited as one of the oldest and most-read political blogs in the city. This blog is listed as one of four of the best state political blogs in Pennsylvania by The Washington Post’s The Fix. Blog by Maria Lupinacci. Facebook fans n/a. Twitter followers 680. United Kingdom About Blog Libertarian Leanne shares her thoughts on Pro-Brexit, right-leaning Libertarian commentary, with some splashes of football, boxing, WWII history and pop-culture (country music too) likely thrown into the mix. Indiana, USA About Blog Holding those in power responsible. About Blog Political Intelligence. You name the target. We build the dossier. Cedar Falls, Iowa About Blog Socio-political commentary. Articles, posts, links, threads concerning life's obstacles, grievances, solutions and challenges. Humor is welcome. About Blog Pearls and Vodka is a website dedicated to voices of all backgrounds sharing on all things relevant. Our mission at Pearls & Vodka is to provide cultural commentary to the events happening in the world around us. We promise to do thorough research, credit sources, and tap into the voices around us. About Blog More than the news. An analysis of the daily news. A detailed breakdown of the news and fun fake news to help you forget the daily chaos of the Trump administration. About Blog Commentaries and explanations of current events and legal concepts, all in a straightforward, short and fun way. Alberta About Blog We seek to improve the system as we search for ways of improving the human condition. We are not afraid to initiate change. Without compromising our principles, our search for solutions is driven not by rigid ideology but by the question, "What is best?" We're the Alberta Liberal Party, and we are here to stand up for you. Facebook fans 2,959. Twitter followers 4,951. Brockport, NY About Blog A blog about liberal politics and progressive social issues. A retired American who lived in Penang, Malaysia, and now has returned to the US shares his thoughts, views and opinions on a variety of subjects ranging from the ridiculous to the controversial. The contents are only limited by his imagination. Facebook fans 28. Twitter followers 365. Newfoundland About Blog Blog by Brad Cabana Political Scientist, Retired Captain -Canadian Armed Forces. Believer in free human spirit. Commentator on local, national, and international politics. Facebook fans n/a. Twitter followers 5,647. About Blog Articles, comment and meditations on power, oppression and political mindfulness. Facebook fans n/a. Twitter followers 1,561. Williams Lake About Blog Discussion of the issues that affect you on a local, provincial and federal level politics. Australia About Blog Events of interest from a libertarian conservative perspective. Blog by John J. Ray. About Blog Mainly politics posts from a former activist turned politics teacher, with a few "etc" additions. Former political activist who once enjoyed hovering round the fringes of political activity and now simply teaches it. Having been a Tory councillor and parliamentary candidate in the past, I'm now 'non-aligned', which doesn't mean unopinionated! About Blog World Politics 101 gives you an overview, and a critical review of what goes on in the world of politics. World Politics 101 welcomes your comments, and if you feel like joining, a guest article on politics is welcomed. Washington, DC About Blog See the President's daily schedule, explore behind-the-scenes photos from inside the White House, and find out all the ways you can engage with the most interactive administration in our country's history. Facebook fans 7,767,743. Twitter followers 12,963,402. London About Blog Daily commentary on politics and current affairs In-depth analysis of the day’s news, plus stories and gossip from Westminster. Facebook fans 154,290. Twitter followers 95,286. New York, NY About Blog The Root provides an unflinching examination of political news through insightful debate and commentary from both established and emerging black thought-leaders. Facebook fans 894,004. Twitter followers 290,213. About Blog Political blogger Anna Raccon Shares A jaundiced view of the main stream media. About Blog "To blog, rather than to seem": a discussion of North Carolina politics and other random political ramblings on southern and American politics. Facebook fans n/a. Twitter followers 8,352. Mt. Holly, NJ About Blog This site is authored by K. Srinivasan, Founder of Prime Point Foundation, Chennai. Srinivasan is a communication consultant. He is also a social activist, deeply interested in encouraging youngsters towards good politics and governance. Every year, he is also presenting Sansad Ratna Awards to the top performing Lok Sabha Members. Facebook fans 162. Twitter followers 57. About Blog A daily look at state-by-state election polling, national polling trends, and news relating to the 2016 Presidential campaign. Politically moderate with a slight conservative lean, though I strive to keep my personal beliefs out of the political math. Facebook fans 1,836,748. Twitter followers 3,633,268. About Blog More and more, we are seeing the American Dream being destroyed by not very honest businesses, political entities, and rascals who feign political correctness. This blog is dedicated to call out the abusive entities that attack the basic human rights of the ordinary people, who created the American Dream. About Blog The last hope of human liberty in this world rests on us. Washington, DC About Blog An online publication written by young conservatives for young conservatives, featuring politics and policy, political entertainment, and much more. Facebook fans 131,710. Twitter followers 50,984. About - ThinkProgress is an American political news blog. It is a project of the Center for American Progress (CAP), a progressive public policy research and advocacy organization. It is dedicated to providing readers with rigorous reporting and analysis from a progressive perspective. It is divided into the sections climate, economy, health, justice, LGBT, world, culture, sports, politics and features. About - PoliticusUSA brings you news, political commentary & analysis from a liberal point of view. We're independent and fact-based but never lacking for grounded, hard-hitting opinions. At Politicususa, liberal means open-minded; we don't subscribe to any agenda but the truth. About - Moveon.org is a popular Democratic blog that focuses on grassroots political activism. While you will certainly enjoy reading the blog posts here, don’t expect any objectivity. The bloggers at Moveon.org are very opinionated and not afraid to reveal their biases. About - The Political Insider connects you to the pulse of all things new and noteworthy. We are your inside connection to influencers and politicos around DC, in the media, and beyond. About - The Huffington Post is the destination for the best U.K. politics news and blogs. About - This blog is described as a ‘’discussion on parliamentary plots, rumours & conspiracy’’ is nothing short of explosive. Not content with simply dissecting the murky goings on in Westminster, Staines breaks the news that politicians don’t want you to hear, & you get the impression he’s enjoying every minute. About - Iain Campbell Dale (born 15 July 1962 in Cambridge) is best known for his political blog Iain Dale’s Diary (founded in 2002) and for his frequent appearances on UK news channels as a political commentator. About - Left Foot Forward is the home of political news and comment for progressives. We provide hard-hitting evidence-based analysis of British politics, policy, and current affairs. About - iPolitics is independent, non-partisan and committed to providing timely, relevant, insightful content to those whose professional or personal interests require that they stay on top of political developments in Ottawa and the provinces. iPolitics.ca provides Canadian politics at your fingertips. About - Maclean's is Canada's only national weekly current affairs magazine. Maclean's enlightens, engages, and entertains 2.8 million readers with strong investigative reporting and exclusive stories from leading journalists in the fields of international affairs, social issues, national politics. About - The Hill Times, Canada’s politics and government newsweekly, the coverage of Canadian federal politics and government forever. Find Breaking exclusive stories and blazing trails every week, they’re an influential must-read for the savvy political and government insider. About - Rabble.ca was built on the efforts of progressive journalists, writers, artists and activists across the country and has a unique role of reporting on stories from civil society while providing a counter balance to corporate-owned media. It provides a needed space for issues, a place to explore political passions and an opportunity to expand ideas. About - Independent Australia is a progressive journal focusing on politics, democracy, and Australian identity. It contains news and opinion from Australia and around the world. About - Crikey is an Australian news and commentary website and newsletter, offering unique perspectives on politics. About - The Monthly is one of Australia’s boldest voices, providing enlightening commentary and vigorous, at times controversial, debate on the issues that affect the nation. About - Find latest news and articles on politics. Browse through politics Blogs, News, Articles, Expert Opinions & more on Times of India Blog. About - Amitabh "Suryakiran" Tiwari aka Politicalbaaba (PB) is an avid political observer. He has a keen interest in national politics with an eye for news behind the news. An ardent Indian elections researcher. He also writes on social and economic issues. About - Find Latest news and articles on politics, democracy, national updates from Aam Janata. About - Qrius (formerly, The Indian Economist) publishes authoritative commentary & analysis on Politics. 400 Contributors from across 30 countries write expert opinion articles on issues that really matter. 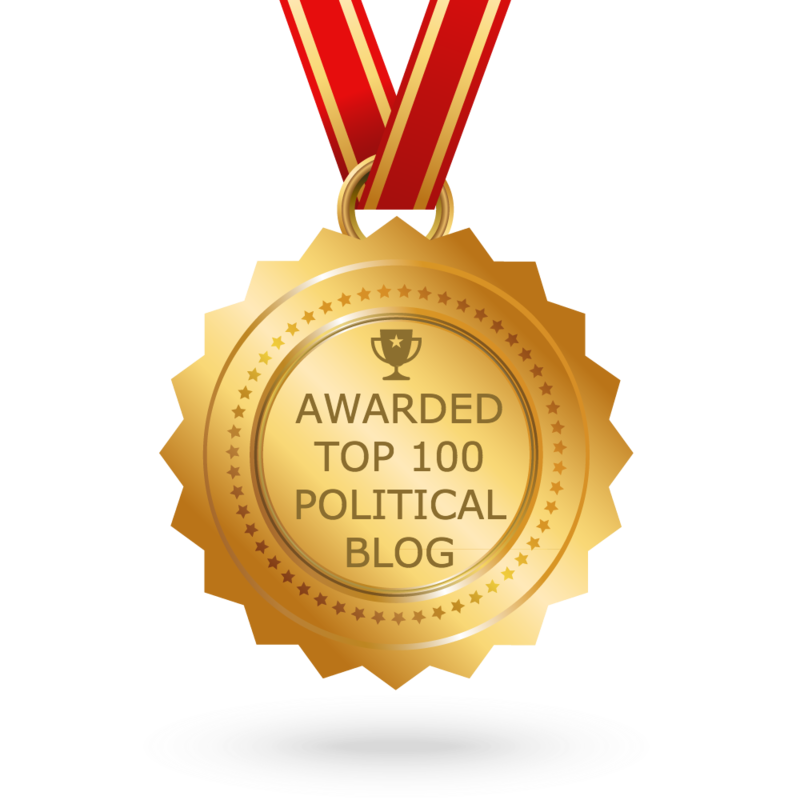 CONGRATULATIONS to every blogger that has made this Top Political blogs list! This is the most comprehensive list of best Political blogs on the internet and I’m honoured to have you as part of this! I personally give you a high-five and want to thank you for your contribution to this world.